When I saw this Riley Blake fabric at The Ribbon Retreat I absolutely fell in love and knew I needed to make something out of it. I stared at it for a couple of seconds and then it hit me-baby girl dress with lots of layers and ruffles. Because, you know, with 4 little boys I have tons of need for baby girl dresses. This dress is similar to the 4th of July dress and Candy Corn dresses that I have done, but adds in a few more layers and slightly different straps. I love, love, love how it turned out! I think it’s my favorite baby dress yet. First of all, print off the pattern pieces (above). If you need a different size I recommend finding a dress that fits your child currently and use it as a template to create this dress. 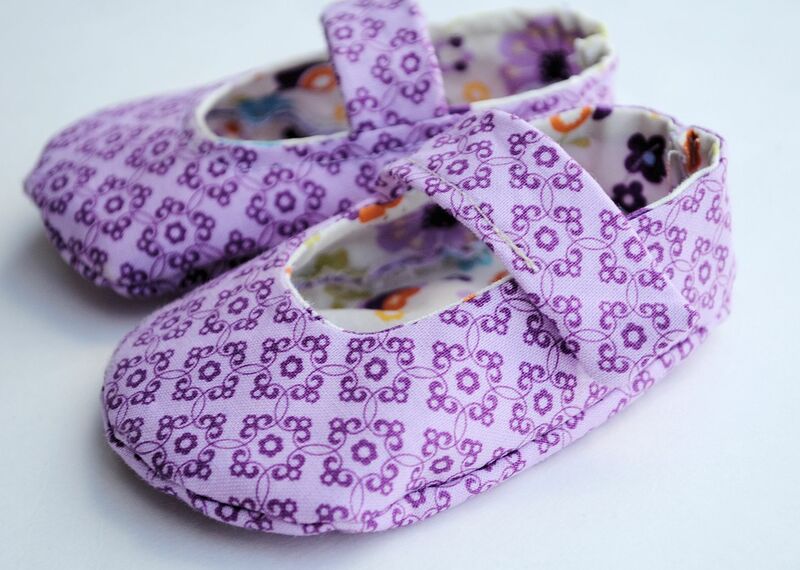 Simply create a pattern just like the ones I have given you, but size it up to fit your child. I will be adding pattern sizes down the road. 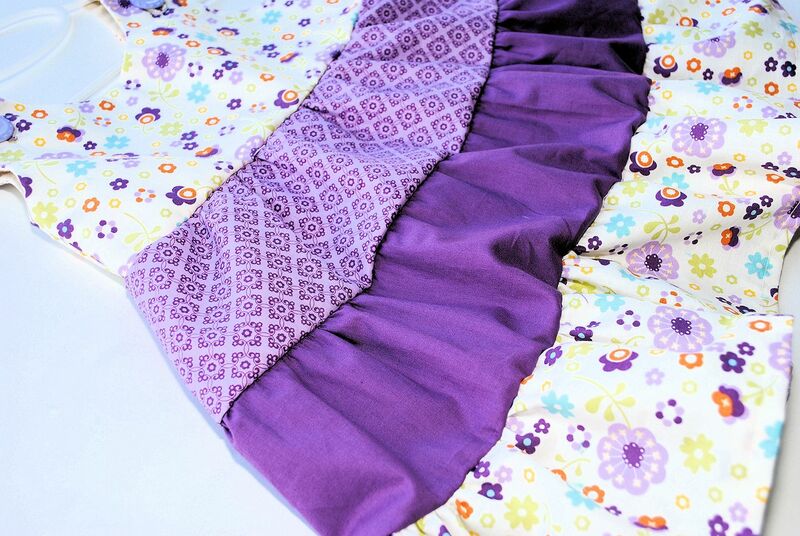 With those pattern pieces, fold your main fabric in half, place the pattern piece on the fold and cut. You will have one piece of the front and one of the back. You then need to do the same with the lining fabric so that you end up with 4 total pieces of cut fabric to create the top of your dress. Now, grab the front piece of your dress and the front piece of the lining. Put right sides together and sew all the way around except across the bottom. Do the same with the back pieces. Turn right side out and iron them nice and flat. The only other thing you need to do to complete your top is to sew your buttons in. Hand stitch the button in place on each strap and create a button hold on the dress bodice for the button to go through. And you’re done with the top! By the way, turns out I need some serious practice at sewing button holes. 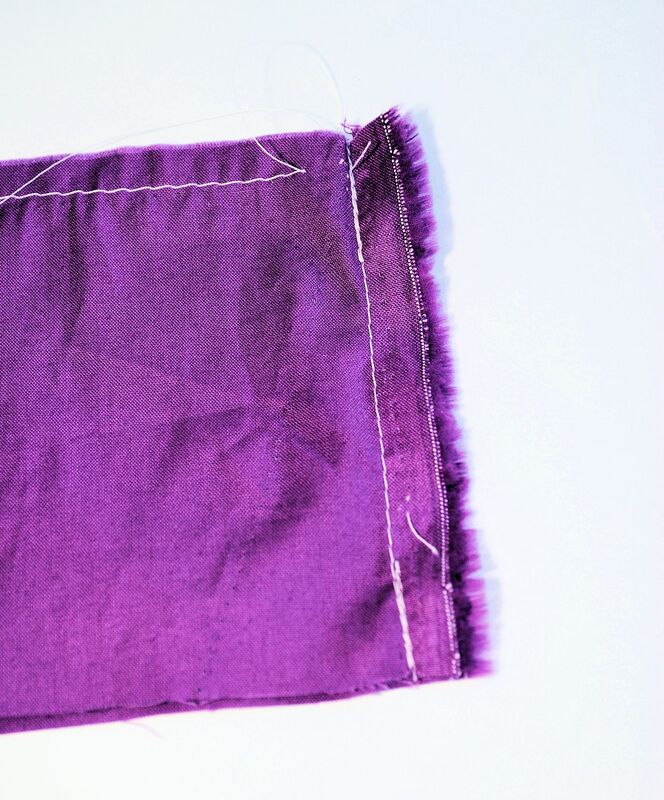 To make the body you need to cut 3 long strips of fabric-one of each of your 3 fabrics. For the toddler size dress my strips are about 4 inches wide. For the infant do more like 3 inches wide. ***When I say width here, please measure your bodice piece width and then double it. So that the width I am referring to is the width of the front and the back piece together. This post was originally posted at The Ribbon Retreat. Try this purple chevron tote! i would love to win! it’s so cute! I love this dress! My little girl will turn 1 this weekend and would look so cute in the dress! I made a pattern like this for my daughter when she was 5 years old and sewed several of these dresses, one was gingham and the other from sewing scraps. Glad to see a pattern for a baby, I have a new niece and 2 more on the way. Love this tutorial and the dress is gorgeous! Hi Amber, what very adorable little dress! My only grandchild is a little baby boy, or I would for sure be entering the giveaway. such a cute tute! I am bookmarking it. So cute! 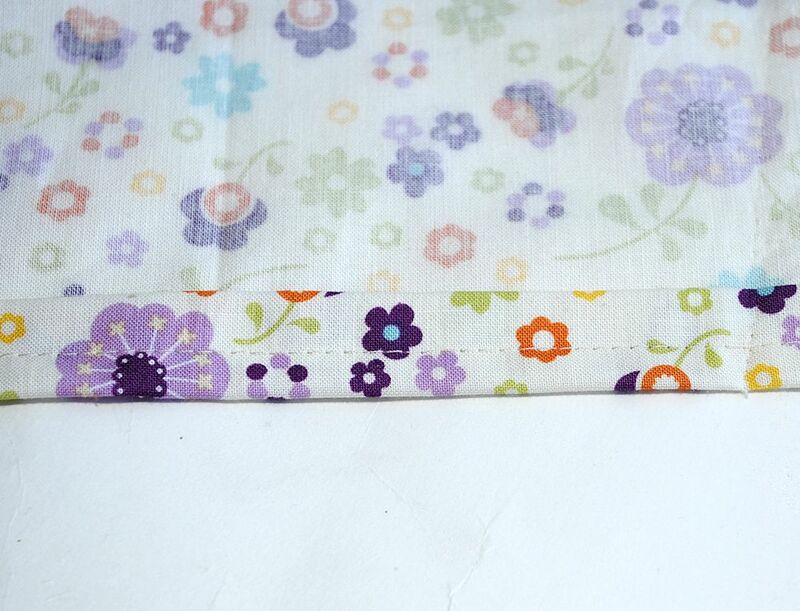 I just love the lavendar fabrics! Thanks for linking up to the Pomp Party! Hope to see you back next week! I am coming over from a linky party and I would love for you to come over and check out my Wool Dryer Ball Tutorial!! Hi, I just tried to print your sewing instructions from crazylittleprojects.com and it would not print. It prints everythng to the right of the instructions. I love the litlle ruffled tierd dress and was able to print the bodice back and front but not the actual instructions. I highlighted them and hit print but it printed like 18 pages of stuff. Try copying and pasting the text into a word document maybe? What seam allowances do you use on this dress? It doesn’t appear to be the standard 5/8″. Hi there – I am currently trying to make this dress – it’s super cute! However, I’m having some issues with the instructions for the layers. Maybe I’m not reading it correctly. Oh I can see how that would be VERY confusing. I need to fix the wording on that. I mean 1.5 times the width of the dress if you were to measure it all the way around in a circle. So really, the width times 2 and then 1.5 times it. Does that make sense? Yes! That makes much more sense. Thanks so much! On to finish the dress…. Thanks for the tutorial….turned out great….made shoes and a headband to match! Ah! Love to hear that! I would like to make this, but not sure how to do it to fit my almost 20 month old granddaughter! Any chance of you making a pattern for this size or could you tell me in details how to do it, if it’s not too much trouble? Thank you so much! The easiest thing to do would be to use one of her dresses that she owns as a guide if possible. Try to adjust the top part of the pattern to match the top of one of her dresses and then work from there. Do you have a pajama tutorial? OH I have been looking for something like this for Easter Dresses! I’m really liking this little dress. Could very well be my favorite project. Thanks for the tutorial. Now to find the fabric for it. I don’t have a favorite project, but I really like the hooded towels. 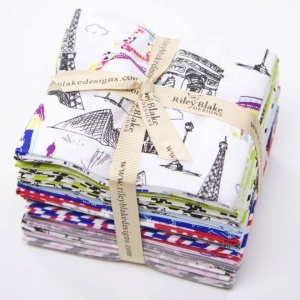 My favorite project that I really want to try is your double layer square circle skirt! I love the sleeping bag, but I don’t know if I could choose a fav! I love all of the projects! but my favorite one is the book tote! oops, sorry…I meant to say the maxi skirt! I can’t wait to make this for my youngest! I love this dress, the shoes and the skirt! Its so much easier to make clothes for my little girl than buy them, since she grows out of them so fast. Thanks for the ideas! I love all your projects, you have inspired me to sew with your learning to sew projects, Thank you so much for all you do. My very favorite project that I’ve done with you is the beach bag. But I’ve also done this dress and it turned out soooo cute. You have so many great ideas– but I’m anxious to try the 5 minute flowers you posted recently. I have learned to sew with you. I’m going to try hooded towels for birthday gifts for my kids. Hopefully, they are as cute as hours! I adore this dress!! So many ideas on your blog!! I like the mini book tote bag. It’s on my list of things to sew. I have made so many hooded towels from your tutorial! Love it! So cute! wishing i had a daughter! Adorable! I love this site. I am pretty excited about making a messenger bag from the blog. I had a lot of fun making the oven mitt–it gave me exposure to bias tape and was a quick, easy, fun project that gave me almost instant satisfaction (unlike the quilt and special occasion dress I’ve been working on for forever). My favorite is the hooded towels!!! They make great gifts for all my kids friends!!! The first thing that comes to mind are your hooded towels, they are too stinking cute. Fat quarters rule!!! Love the three tier dress. I am really liking the oven mitts. They’re hard but it’s fun! My niece wool love this dress! My favorite project is not one project, but a series of projects! The Learn to Sew series from last year! I have learned so much, and the projects are good reference for when I just want to practice some skills. Thanks! I like the easy baby blanket and pajama pants tutorial. I really want to make the book tote bag for my sister, it’s on my list when I finish the Feb challenge! I loved your Learn to Sew lessons and projects. Probably my favorite (and best known for) are the hooded towels. I’ve since branched out and made my own creatures. Now all I need is a granddaughter! I love all of your projects! I have made lots of hooded towels, a maxi skirt and bags. My favorite have been the hoodie towels. My favorite is the sleeping bag. Favorite project (you ask all the hard questions! )… ok the one I am looking most forward to trying is the hooded towel. My daugher’s from Pottery Barn are all completely destroyed (of course 2 of the 4 we’ve had for nearly 8 years, so I shouldn’t complain) and we need some more. need to change this up and make it for my bigger girl! I love the Easy Baby Blanket! wow that is a hard question…of those I’ve tried I like the layered skirt – the coloring book case was good too…I just had a few screw ups that make it harder to love this time! The shoes were cute but I couldn’t get them right…so many more that I want to try too! too bad my baby is not baby anymore. Like the pattern a lot! I need to have a baby girl! My fav is the baby girl peasant dress- its how I found the site! I cannot wait to try this for my baby girl this summer! So far is has been the totes, especially the cross over body tote. This dress is adorable – I wish I had a little girl to make it for. great idea for my grand nieces 2 birthday in may! My faves are the ruffled purse, the baby burp cloths, and the pajama pants. As you can tell those are from your learn to sew series. I’m making my way to your second series which is purchased and waiting for me! Maybe this is a present for my niece waiting to be made! I love the hooded bath towels! Can’t wait to be settled into our new house and have a sewing room! I love, love, love the hooded towels…made the monster one for my nephew and grand baby!! I am looking forward to making the pj pants for my grandson.. I haven’t done them all but I did love how my daughter’s hooded towel came out! Olaf the snowman hooded towel is my favorite so far! I would have to say that so far my favorite project on Crazy Little Projects is the learn to applique project. It really did teach me how to applique and now I LOVE it! My favorite project would be the Milky Way cookies, I really want to try them. My grandchildren would love the sleeping bag. I think I will try it. Love the animal baby towels! You have such a great collection of projects. I’d have to say the scripture tote is my favorite b/c I’ve done it twice now and loved the finished product both times. Hands down the hooded towels! I love the confidence that comes with sewing a sleeping bag primarily because that freaks me out!!! I haven’t made one yet, but I love the messenger bag tutorial. I usually only buy fabrics when they’re on sale so I’m waiting to get the perfect combination before I start. Can’t wait to do that one! I loved 2 projects, the colouring book / crayon holder and the backpack. Had so much fun doing them. My favorites so far are this little dress and the adorable matching shoes. I love the hooded towels. Santa tote–great for Christmas gifts!! I haven’t had a chance to try any projects because of my machine, but I’m excited to try some of the baby projects! Really? you are going to make me pick ONE favorite? Awe, come on, I like too many of them! I so wish i could have another baby. I guess I’ll just have to start making gifts everyone else! I love the hooded towels and the sleeping bag. I like the ruffle bag! I am a fan for sure! It’s so hard to pick just one. I have made so many credit card holders as gifts. I have made a bunch of the burp cloths from diapers for shower gifts. I love the diaper and wipe carriers. Just to name a few. Your newsletter is my favorite. I can’t wait to see what ‘s coming next. My favorite sewing project was the pin tuck pouch. I love the diapers and wipes case. Such a practical go-to gift. I’m learning so much from your tutorials! My favorite project(s) are all your hooded towels! I have made several (with the minion being a favorite of those) and can’t wait to try more! The cross body tote bag! Love the hooded towels. I have such fond memories of them, but of course they were all store bought. Just can’t decide–so many good ideas! the sleeping bags were really cool! Other than girls dresses, when I have no girls to sew for, I love your hooded towels! Really, just want us to pick one favorite, ok, purple chevron tote! The sleeping bag is my favorite project on this blog so far. The three tiered dress would be a big hit with a little girl I know, however. The hooded towels. I have yet to make one, but I really need to get on that. I love the messenger bag! I really like a lot tho :) and you tutorials are so great to follow!!! Thanks for all the time and extra stuff you put into it!!! my fave so far is the hooded towels- they are always a hit as gifts! Sleeping bag project… but really it is so HARD to choose..I love so many. I love all of your projects!! The only one I have made (so far) is the grey and pink bag!! The hooded towels are really cute, but I like all your little projects so it’s hard to pick just one!! You have so many cute ideas! I love getting your emails in my inbox to see what the next one is. I love your hooded towels and the messenger bag. Next on my list to make! I’m gonna have to say THIS post, the Girls Tiered Ruffle Dress is hands down my fave! Back when I found you it was THIS post you were sharing & I made this dress & sent it to my Gran baby in Germany!! I tried to get as close to these colors also as my DD is a purple hound!! Thanks for this FUN giveaway/hunt!! I love so many of your projects! I only found your blog a month or two ago so I’m not sure of my favorite yet but I can’t wait to make this dress with some cute baby shoes! i made this dress for my 5 month old…so cute! Purple and little girls. What could be sweeter. The hooded towels are so cute. They are on the to do list. I like all the clothes for toddler girls, especially if they have ruffles. I love the messenger bag. I think I’m going to make a camera strap next. I’m anxious to try the Sleeping bag pattern for my grandson and Girl’s Tiered Ruffle Dress for my granddaughter. By the way such a fun contest. Love the scavenger hunt theme. Oh dear. This scavenger hunt is certainly making my list of future projects a lot longer! Thanks for all the top tips. I like your messenger bag tutorial. I think that is one of my favorites. This cute dress is my favorite! My favorites are the baby dresses! Hooded towels… The best idea ever for wet kids! I have a little girl who loves dresses! She’s going to need several of these! I love your messenger bag tutorial (although I’ve never tried my hand at making a bag!). The Love pillow (sooo cute!) and the messenger bag! I don’t have one yet…but all your projects seem do-able…very excited! i love all the 25 things to do with a fat quarter. I love the crown towel..
You have so many wonderful projects on your blog, it is hard to choose. All of them! I think the hooded towels are my fave. Olaf May be my favorite, but so hard to choose. Favorite Project? Hmmmmm…everything? Your projects are not intimidating and I like that. Love this might have to make one soon. I love ALL the projects on Crazy Little Projects, but the lion hooded towel project was just so adorable and perfect for my nephew. Hooded towels are a winner (so much better than store-bought ones!). My favorite so far is the messenger bag. I do love the pencil pouch and diaper and wipes too!! My favorite is the first project I did from this site…the mini messengar bag! I made it for my neice and she loves it. I love all of your creative hooded towels! They are all SEW adorable! Hi, love the Lion Hooded Towel project>it is just the perfect gift for Baby Showers>love it! Thanks so for the fun+giveaway! I am not sure that I have a favorite. There are so many that I am putting on my to do list! Favorite project? That is super tough. The one I’ve made the most is the maxi skirt! Love all the GREAT ideas! Love the minion hooded towel! I really love the sleeping bag!!! We don’t have any small children in the family at the moment but I really do love the hooded towels. Hopefully I will have grandchildren someday so I can make some. The mini messenger bag and any of the hooded towels. hooded towels are so cute! My favorite project is the towel animals! 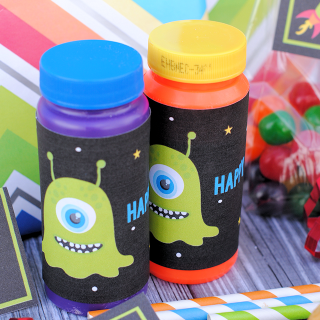 They are adorable and my todders LOVE them! So far the heart-shaped potholders have been my favorite! The sew for home pillows! Love the messenger bags. The mini one and the bigger ones. I really like the mini book tote! It just looks prefect for scriptures! I have two older boys so I will have to make them the sleeping bag. For my three girls the three tiered skirt looks like a simple project as well as this ruffled dress. I love all the little girl dresses and skirts. I found the three tiered skirt while searching for this and can’t to make it for my daughter. The 25 projects for beginning sewers have been very helpful! Too many to choose from, love all your projects and the fabrics! I love the tote bag tutorials. I can’t wait to finish my project backlog and start on one! I have fabric ready to make the messenger bag. I just started following and doing the #sewcrazychallenge this year, so I still have a lot to explore and try. But so far, I have made a hooded towel, a pillow with applique, and an oven mitt! I’m thinking about either a girl’s dress or the cross body tote bag next! …And of course March is almost here so, I can’t wait to see what the next challenge will be! Lots of lovely projects, especially the messenger bag. Thank you for the giveaway. I love this tutorial-it is my favorite!!! 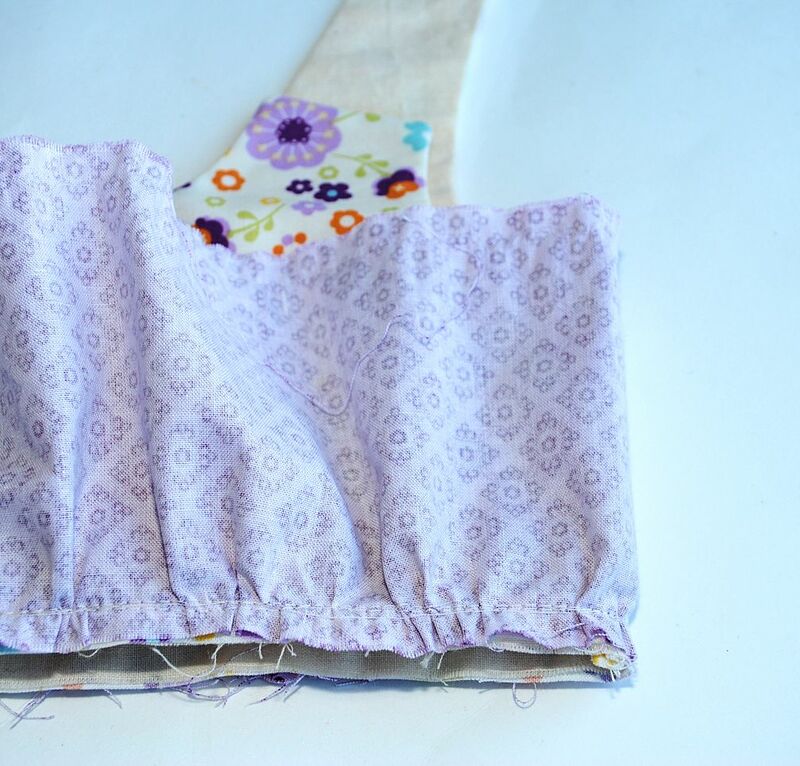 Love the reusable snack bags… Perfect way to marry sewing and sustainability. You have many fun projects, would love to make this cute dress, or any in you 25 fun thing to do with 25 fat quarters! What an adorable idea for all your extra odds from pillows and curtains! I think I might find all the clues. My favorite Crazy Little Projects would have to be the sleeping bag. It’s really difficult to find cute sleeping bags in the store. I love the maxi skirt tutorial. Ready for spring to be here! I can’t choose just one! I could spend hours looking through and choosing them! I love the sleeping bag tutorial- my boys would get a kick out of having one! All your projects are great but I’d say the hooded towels. Perfect for my very tall 2 year old since the toddler ones just aren’t big enough anymore. love the Messenger Bags, but if i had little ones…holy cow those hooded towels are cute! So far, I like the shoes for a little boy and all the girl dresses (but I see hooded towels I need to check out after this! So many I want to try, but I think the messenger bag is my favorite. These would make perfect Easter dresses for my two littlest girls. I can’t wait to start picking fabrics! So many great gift ideas for the littles in my family. I’m loving the scavenger hunt! The hooded towels, I have made 4 or 5 already. Love the variety. The crayon and coloring book carrier!!! I made one for my 3 year old niece, she adores it! I also made one for my 10 year old niece with black fabric that is more preteen with scribbled hearts and words like “Boyfriend” and “rockstar” she keeps her sketch pads and colored pencils in it. I love the shoes, the one’s I’m currently working on. I can make them and embellish them to switch up the “look” of the shoes! So adorable!! This is the only one SO FAR that I have done (working on) – BUT there are many on my to-do list. 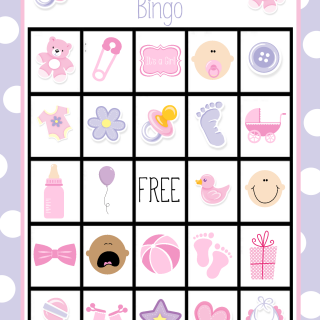 You have a fantastic variety for both genders and a variety of age groups! Thank you so much for sharing your talent with us! I love your hooded towels tutorial! Definitely want to start making these! Oh my gosh, how do I pick just one? I actually love this tiered ruffle dress. I’ve made two for my daughter and they’re just darling! You are kidding, right?? I can’t pick just one!!!! I love the dress pattern. Just wondering what size seam allowance did you use? Thanks! I’d love to see this in a 2T or 3T pattern! I just wanted to thank you for the inspiration and guidance into how long each layer needed to be. Using your calculations, I made a rainbow one for my 7 year old that she adores! Thank you so much! with each strip being about 4″wide taking away seem allowance I’m thinking my skirt part of my dress will be about 10-11 inches long. Thanks …just needed clearing up. This is my first dress…so far the bodice turned out great! Thanks for the pattern of this lovely dress! I made a (my first one after 3 boys) dress for my granddaughter with it! The infant dress is cute. 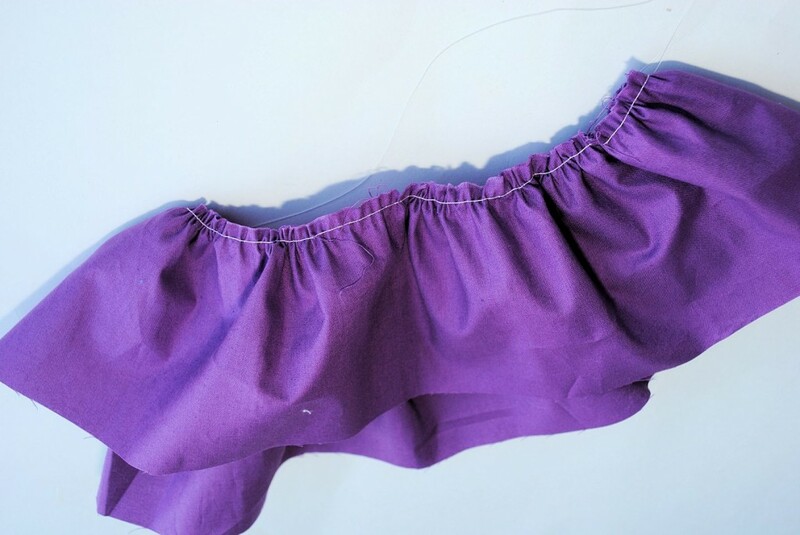 I think if I make it, I will put a spin on it and do a layering effect on the ruffles, so each would have it’s own hem. Have you posted any more pattern sizes for the tiered ruffled dress. 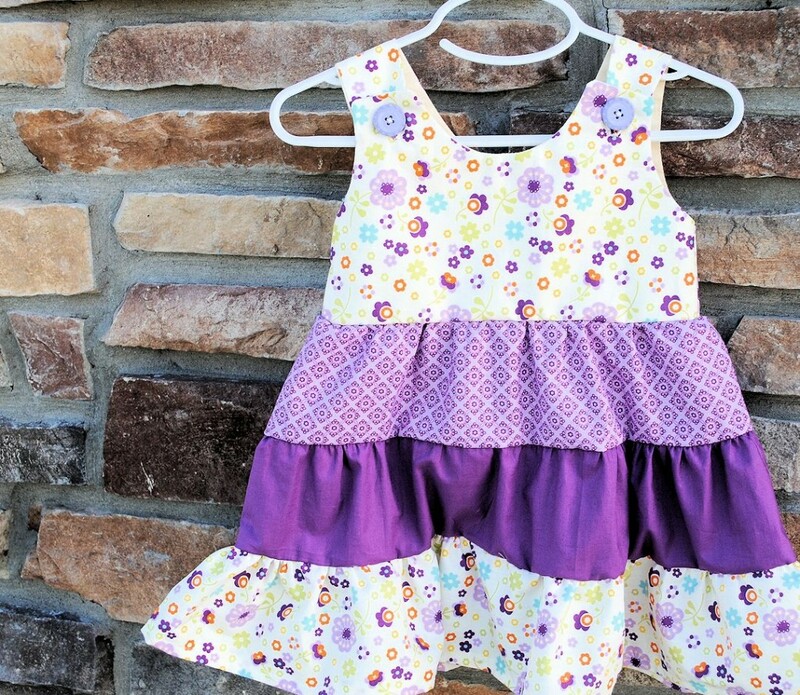 My petite 2-Year-old granddaughter lives cross country from me so do not have access to her other dresses and want it to be a surprise for her mom also. The link to the pattern doesn’t work. How can I get a copy of this darling dress pattern? Hello, this is such a cute dress, I have already bought all the supplies and I can’t wait to start sewing! Have you included seam allowence in your template? If yes, how much is it? Thanks!